Hi girls! Hope your week is going well, I spent last night at the library researching what I want to write about for my MAC contract magazine. I've come up with some pretty good ideas - I think. I'm going to start writing up my first draft today! Ahh scary stuff. 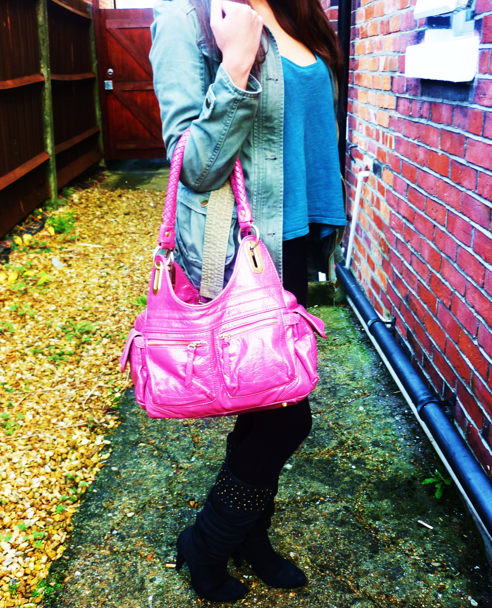 Anyway, todays outfit is very Cheryl inspired ;) The military jacket was only £5 from Primark! It was £20. It's great because it goes with everything and it still keeps me warm ;) We all know I have a fear of winter because I hate wearing layers and layers. How romantic.. Any who, the boots are also from Primark and were £15. The teal coloured crop top was from Miss Selfridges - I love it! I bought it last year for £8. I'm currently listening to Fever Rays 'The Wolf' to get me inspired for my MAC feature post. I'm basing the beauty look on Red Riding Hood. Pretty neat idea huh? I think it would be nice to do a post on what products I come up with! 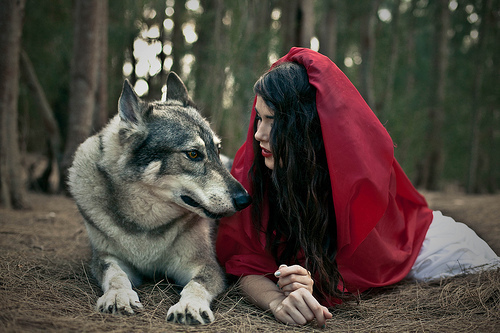 :) I love the whole look of Red Riding Hood, it's pretty amazing how you can apply a Gothic theme to the character and that it still works so well together! I think Amanda Seyfried was perfect in the film, don't even get me started on how amazingly gorgeous Peter is. another amazing outfit!! I wanted to go as red riding hood this year but couldn't find a cute hood!! I love the contrast of the bold bag to your outfit! & I can't believe your jacket was reduced to £5? You definitely picked a good bargain there, it's lovely! Love your jacket and the boots, looking really glam. do you have a lookbook account ? The outfit is really cool! I love the color blocking! I LOVE that bag. :-D I neeeeeeed it in my life!